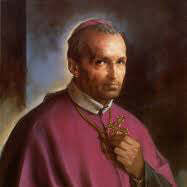 "Here, then," says St. Alphonsus, "is our heaven on earth--the Most Blessed Sacrament." This book was conceived and written to help us grow in the knowledge and love of God and in appreciation for what He has done for us. For each of the 31 days of the month, St. Alphonsus provides for us a "Visit to Our Lord"--which is a brief meditation on and a fervent prayer of love toward Jesus in the Most Blessed Sacrament. Each Visit to Our Lord is followed by a "Visit to Our Lady." A famous devotional booklet of nine consecutive Communion exercises. Each consists of a novena prayer, an intimate talk with Our Lord, and a brief self-examination. Rich in doctrine; ideal to make over and over throughout life--to grow in holiness and grace.